Volko Wooden Vents...wood floor vents air grilles & registers. Oak a/c grilles wooden heat registers grates and custom wooden vents for floor wall & ceilings. Click a picture for sizes and specs. We will help you make purchasing wood floor vents, wooden heat registers, oak vents, wooden grates grilles & wood registers easy. Due to the many varieties and options, we ask that you e-mail us or call for prices and ordering. You can go anywhere and toss a wooden vent into a shopping cart. Can you do that comfortably or easily with customs? Do you know what you are getting? What's the quality and construction? Where is it made, and is it the best for your application? We are here to make sure that what you order is what you need, with optimum value. Whether it's 1 vent or a whole house, our growing selection of wooden vents and manufacturers can help get the job done, quickly. Compare prices, and see what full service is all about. We don't need a shopping cart. Don't just "check-out" when you can check us out. Add the timeless beauty of wood to floors, walls, and ceilings with our standard-sized grilles made from sturdy hardwoods. Available pre-finished and unfinished. We offer designs to complement any decor-- from traditional to ultra-modern. Strong and durable, our wooden heat registers feature cross-grain construction that makes the enduring difference. We use only the finest kiln-dried hardwoods, ensuring quality of the highest caliber. For added convenience, dampers are available on the most popular sizes. We offer these wood vents in a diversity of profiles. All styles of grilles can be purchased pre-finished to blend with most major flooring manufacturer's color specifications. This is the place where you get to call the shots. The only limit is your imagination and creativity. You name the wood, the size, the configuration...we'll do all the rest. We'll design precisely the grille you want for floors, wall, or ceilings-with the same quality workmanship. When only a precise design will do, you'll want to take a look at our complete line of custom-crafted vents. From a wide range of woods to a selection of configurations to meet your exact specifications, you'll find the design to meet your needs. A "Register" is basically a grille with a damper attached to control air flow from a forced air or heat system. Usually the actual metal register is mounted in the sub floor and covered by sometimes decorative vents, but we can order any stock size wood grille with an attached metal damper. Custom wood vents and baseboard vents do not have the attached damper as an option. Most manufacturers make their wooden vents quite different and here is how. Some grilles are made out of a flat wood board (oak, maple, whatever species) and the louvers are either cut, drilled, or routered out of this single piece. Mostly straight cuts but some do angle the louvers. You should finish these very well to prevent warping. Another way is a grille or grate that is not 1 piece of wood. These wooden vents are also well made but different in that the frame is 4 pieces and all the louvers are individually hand assembled and glued. This style may reflect a slight cost difference as you shop. And of course for all those of you where everything in your house seems to be "custom", we do that too. Any wood grill, grate or vent can be made to your specifications. No head scrathin'. Custom quotes are simple and quick. Give us the wood type - length & width and you got it. Remember........ Measure 12 times order once. 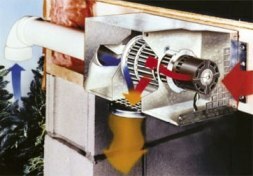 Usually, supply vents are measured by the opening and returns by the overall face of the vent. But who is ever lucky enough to have "usually" sized vents..... so measure everything. 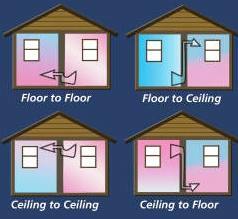 A "cut" opening can be slightly larger or smaller than the actual duct opening and fool you into purchasing custom vents. When measuring an opening, measure the metal duct work, if any, also. Here are a few products that may help solve some problems, thus improving comfort and efficiency.